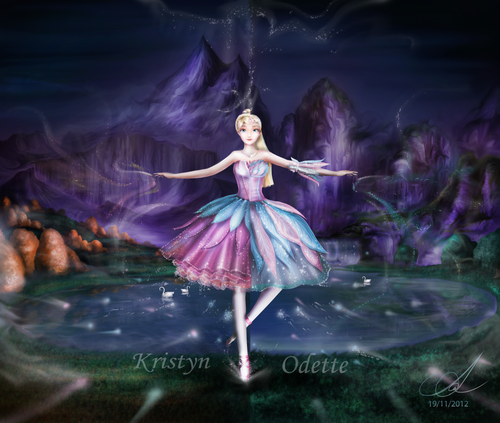 Kristen and Odette (Fanart). . HD Wallpaper and background images in the Barbie-Filme club tagged: barbie pink shoes kristen odette. Amazing and Wonderful fanart, bro! Really superb, WoW! I always love your fanart ;) It's beyond my imagination. 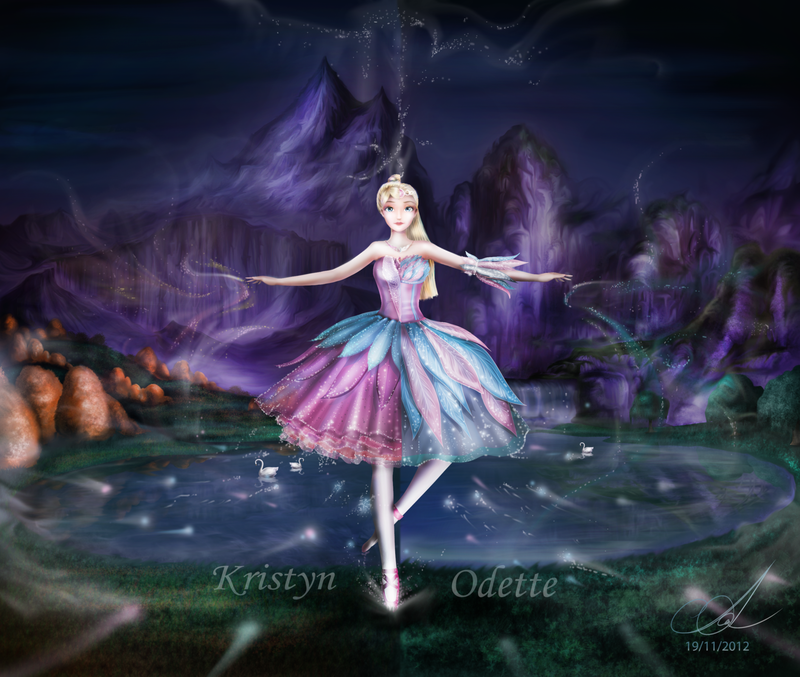 So there is Krystin in her Odette look and Odette from SL,right?It's is awesome! Amazing, but there's missing on Odette's dress. The dress also have those little leaves between the top and the skirt, but it's awesome nevertheless. Oh my! This is so beautiful. You are a genius at art! Love it! @BarbieRosella Yes, you're right TT--TT. I forget it.